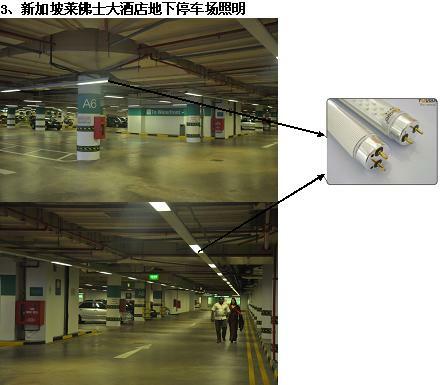 Led tube is made to replace fluorescent tube. It need no starter and with build in ballast, it is easy to install and long lasting. Led tubes is a mature product in China. Most of the tube perform up to what stated in the internet. With the same brightness, Led tube consume only half or less of the power which used by the fluorescent tube. Designed working life span of the tube is 20 000 hours. I have turned a LED tube 24 hours per day and 7 day per week and it last two years plus before i off it.Led tube save your maintenance cost and time for repurchasing, replacing and less lost of use of the light. Save the electrical charge of your cooling-system. Led when on generate much less heat compare to the fluorescent tube. Due to The temperature of the tube is around 40 degree Celsius or less. The outer shell of the Led tube is make of polycarbonate (PC). It does not easily break while compare to the fluorescent tube. 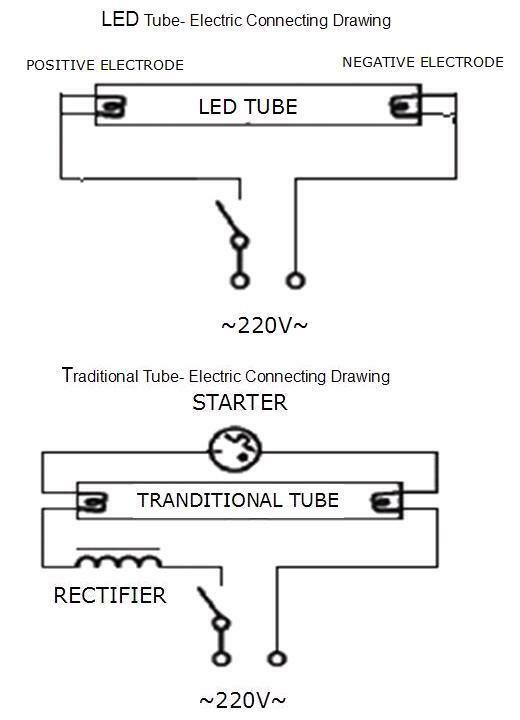 * Led tube does not need starter and with build in ballast. For new installation it is a big advantage. It does not need housing as fluorescent tube and can be placed at more narrow area. Interior designer can have more space for the lighting design in the room. * No UV light and No Mercury these make our living environment Green. The Led chip used in all the LED tube is smd 3528. This Led chip is of super high brightness and low decay chip. All the electronic parts used to construct the LED tube are of high quality that make the manufacturer Youguo agree to give three years warranty for their LED products. How much can you save when replace the fluorescent by LED tube? 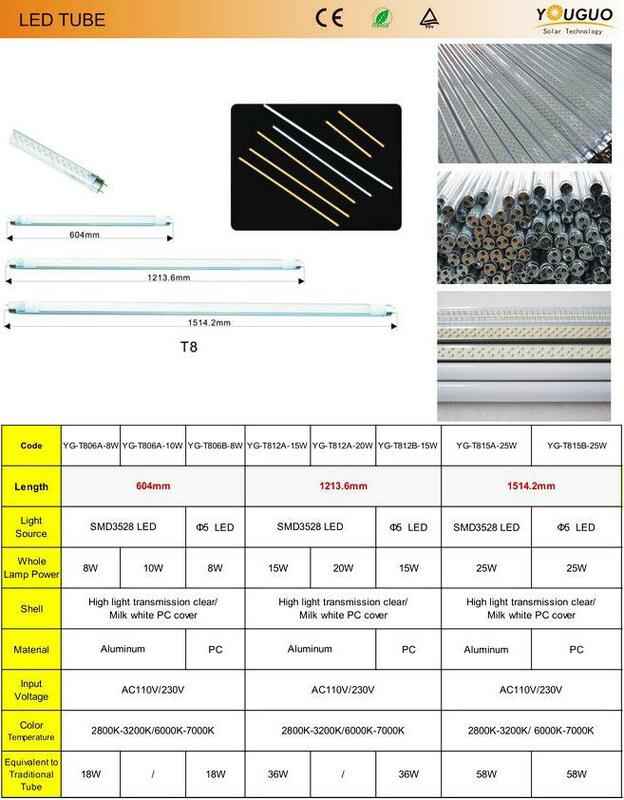 Led tube does not need ballast and starter which are the must for the fluorescent tube. 4 watts were save. From the above table showed, the power needed for 2 feet’s fluorescent tube to bright up is 18 watts and Led tube need only 10 watts. The kilo hour per year is 8.760. The electricity charge rate is SGD 0.2728 KW/H. 2 feet is (18+4)w x 8.76kH x 0.2356 = SGD 52.70. 4 feet is (36+4)W x 8.76kH x 0.2356 = SGD 95.60. 5 feet is (58+4)W x 8.76kH x 0.2356 = SGD 148.18. For 2 feet 8W Brightness:600LM : SGD35.00. For 2 feet 8W Brightness:720LM : SGD50.00. For 2 feet 10W Brightness:860LM : SGD60.00. For 4 feet 15W Brightness:1200LM : SGD60.00. For 4 feet 15W Brightness:1440LM : SGD80.00. For 4 feet 20W Brightness:1730LM : SGD90.00. For 5 feet 25W Brightness:2100LM : SGD120.00. 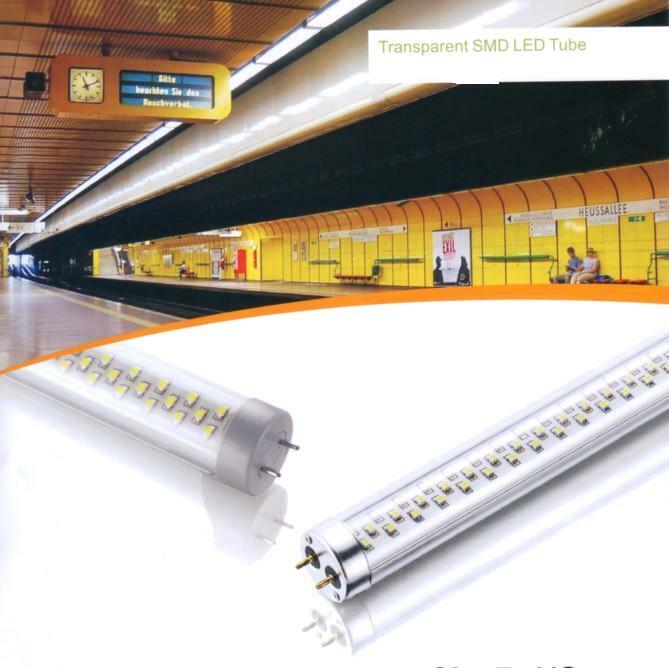 The above readings show that the Return Of Investment(ROI)on Led tube is about two years. With the 3 years warranty, it will be the investment that should not be miss. If the tube is used in the air conditioned room, They will save some cost for your electrical charge for the cooling system. The designed working life span of the Led tube is 20 000 hours compare to 10 000 hours of the fluorescent tube. You need to replace 2 to 3 fluorescent tubes in 20 000 hours that will increase the running cost while you are using fluorescent tube. To make things worse the life spent for the ballast and starter? 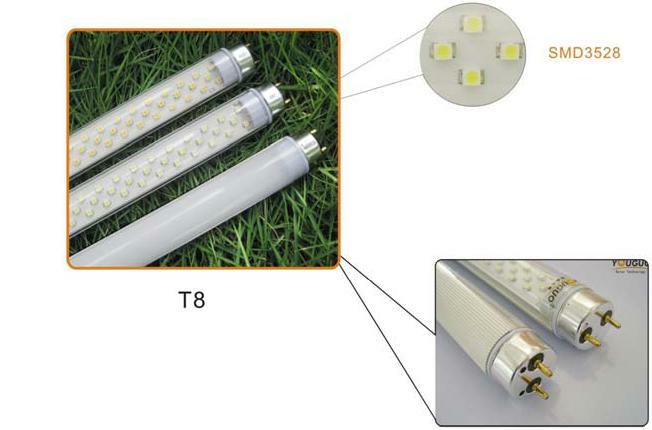 The following are some applications picture of the YOUGUO LED TUBES. To replace the existing fluorescent tube to Led tube, you can remove the starter and the ballast and just connect the live line and neutral line to each side of the tube. OR use a wire to by pass the Ballast input and output(provided the Ballast has multiinputs and multioutputs) and take out the starter will do. Please refer to the following picture. Fluorescent lamps using magnetic mains frequency ballast do not give out a steady light; instead, they flicker at twice the supply frequency. This results in fluctuations not only with light output but color temperature as well, which may pose problems for photography and people who are sensitive to the flicker. Even among persons not sensitive to light flicker, a stroboscopic effect can be noticed, where something spinning at just the right speed may appear stationary if illuminated solely by a single fluorescent lamp. If a fluorescent lamp is broken, a very small amount of mercury can contaminate the surrounding environment. About 99% of the mercury is typically contained in the phosphor, especially on lamps that are near their end of life. The broken glass is usually considered a greater hazard than the small amount of spilled mercury. Fluorescent lamps emit a small amount of ultraviolet (UV) light. Very sensitive individuals may experience a variety of health problems relating to light sensitivity that is aggravated by artificial lighting. Fluorescent lamps with magnetic ballasts flicker at a normally unnoticeable frequency of 100 or 120 hertz and this flickering can cause problems for some individuals with light sensitivity. Please do comment and help us to improve our Led tube.